A top Republican ensnared in a media controversy might expect to find shelter from Fox News. But that hasn't been the case for Senator Rand Paul, whose presidential campaign rollout has been mired with questions about his temperament. 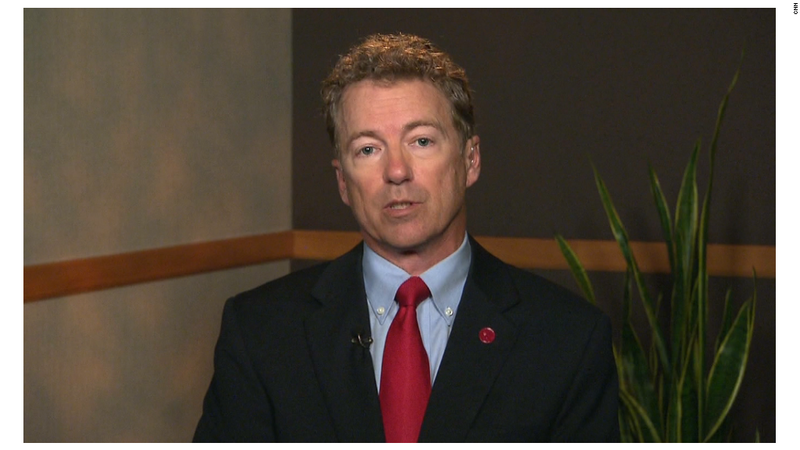 Hosts on the conservative cable news channel have repeatedly scolded Paul this week for flashing his temper. Megyn Kelly grilled Paul about his interactions with the press, asking him if he gets "overly emotional." On the afternoon talk show "Outnumbered," the panelists were uniform in agreement that Paul needed to control his temper. The panelists on the channel's highly rated evening roundtable, "The Five," echoed those sentiments. 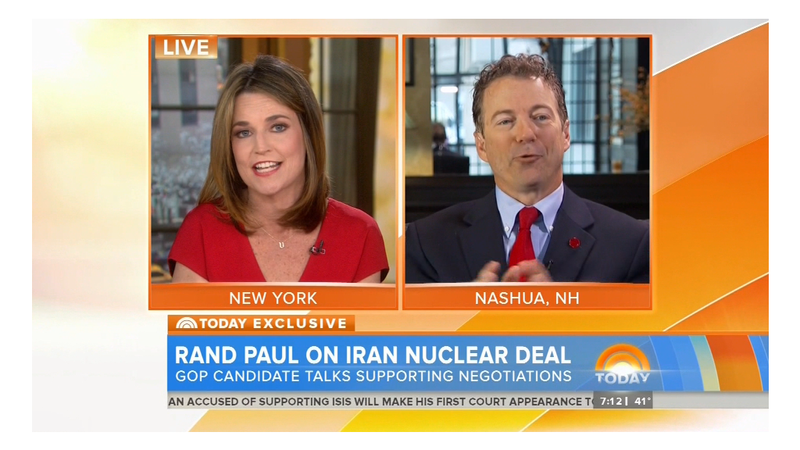 The message from the cable news channel's personalities was clear: If Paul wants to win in 2016, he better shape up. The controversy began on Wednesday morning, when Paul grew curt with "Today" show anchor Savannah Guthrie. After Guthrie pressed him on shifts in his positions over the years, Paul accused her of editorializing. Later that day, Paul was abrasive when Associated Press reporter Philip Elliot asked him about apparent contradictions in his positions on abortion legislation. The incidents prompted the media to recall when Paul shushed CNBC anchor Kelly Evans earlier this year. By Wednesday evening, Paul was telling CNN's Wolf Blitzer, "I think I've been universally short tempered and testy with both male and female reporters. I'll own up to that." In her interview with Paul on Wednesday, Kelly, who hosts a primetime show on Fox News, defended Evans and Guthrie for their line of questioning and admonished Paul. "Those women were not yelling at you," Kelly told Paul. On Thursday's edition of "Outnumbered," the news channel's afternoon talk show featuring four female hosts and one male host, Andrea Tantaros, a former Republican strategist, contended that Paul's interactions could be construed as sexist. "I have to admit listening to him shush a woman and telling her to calm down, it's the worst thing you can say to a woman," Tantaros said. Dana Perino, the former White House press secretary under George W. Bush who now serves as a co-host on "The Five," warned Paul on Thursday that he hadn't seen anything yet. "If he thinks that Savannah Guthrie's interview was unfair, wait till he gets on stage with other Republican candidates who want to win as much as he does," Perino said. Perino speculated that Paul is either "being mismanaged or he is not managing himself well." "In my opinion, a lot of this always comes from the top," she said. Paul is certainly no enemy to Fox News. Rupert Murdoch, the billionaire mogul who counts Fox News among his media assets, has made no secret of his affinity for the senator. According to analysis from the liberal watchdog Media Matters, Paul has made more appearances on Fox News than any other Republican presidential contender. Indeed, the senator is on better terms with the Fox News community than his father, the former congressman and libertarian hero Ron Paul who clashed with Fox News host Sean Hannity during his own presidential campaigns. The younger Paul figures to have a warmer relationship with the conservative pundit. Hannity scored the first interview with Paul after the campaign launch. It may have been Paul's friendliest interaction with the press all week.